I’m thankful I only live about 7 minutes from my office so I get to spend the lunch hour at home if I want. It’s nice to see what the garden is doing in the middle of the day, too. 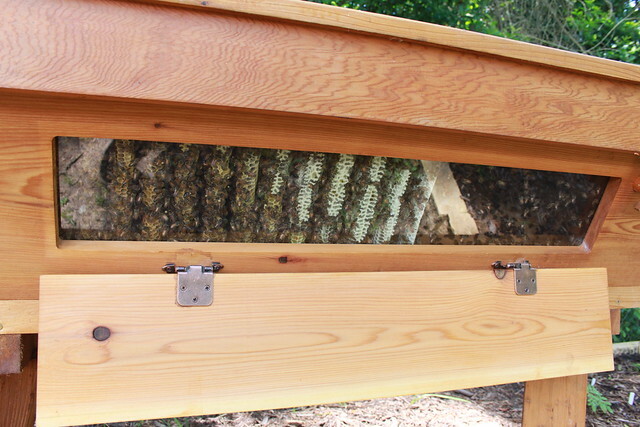 The bees are busy, building out comb and storing honey for the winter. From talking with others growing tomatoes it seems this year is weird for tomatoes. Perhaps the cool spring and then hot summer immediately after is not going to let us have an abundant harvest. These are the first ripening tomatoes, labeled at Arkansas Traveler but I’m almost 100% sure this isn’t an Arkansas Traveler. I’m guessing we mixed some seeds up or a label somewhere along the line. 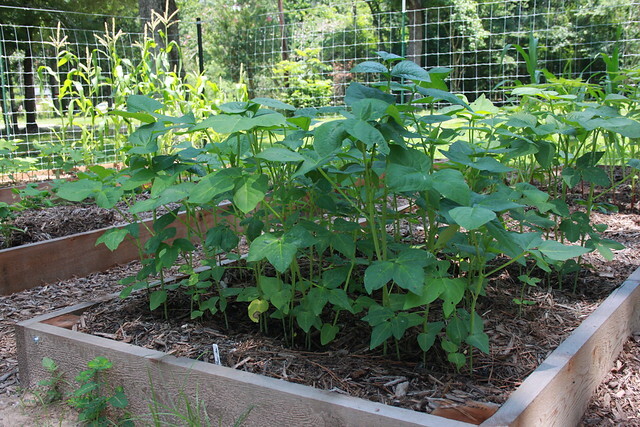 The cowpeas are doing excellent, thick and lush! I can’t wait for them to start producing some fruit! These are Big Red Ripper. And a little bit of tropics with a plumeria cutting that is blooming. I got this from my mom, who got her cutting from her (and my dad’s) friend Randy when he lived in Florida. The corn is flowering! And you can see the okra there below it to the left, recovering from the deer grazing a couple of weeks ago. Some of that is growing exponentially! 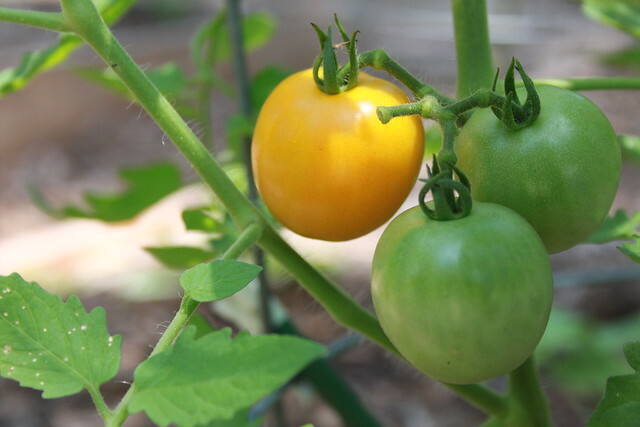 That’s my lunchtime garden roundup for today…now I’ve gotta get back to work! 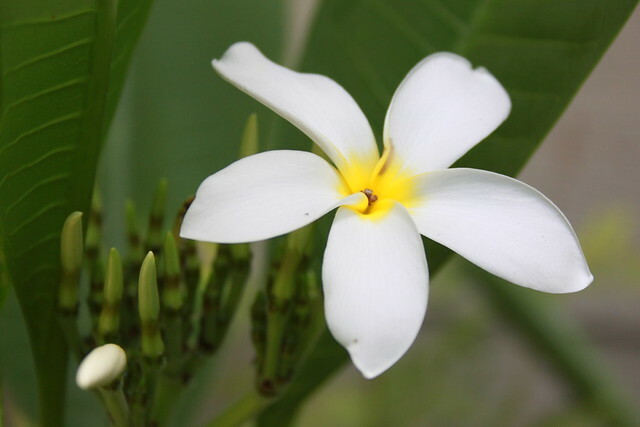 Jessica will especially love the plumeria picture! Y’all have a great yard!! I’ve had an excellent harvest of tomatoes already. I planted Stripers and Big Boy, the Stripers have been excellent so far. I never have luck with the more commercial varieties. I also planted bush green beans and had a wonderful harvest until the temps started getting too high and killed the plants off. What are cowpeas? I tried planting some pinto beans, but they drowned after we had a lot of rain for a few days. 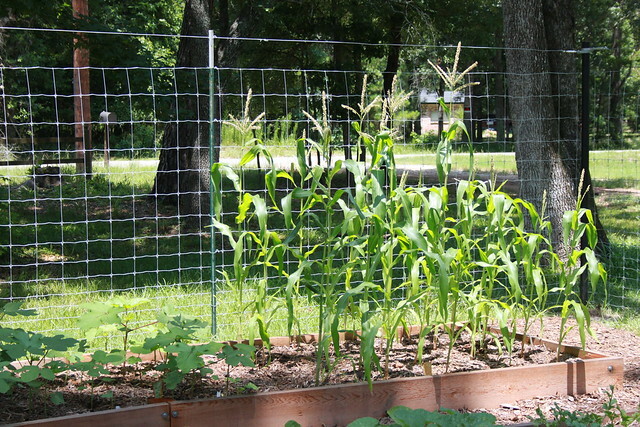 What variety of corn do you plant? PLEASE take come very close up detailed shots of that honey comb! It looks amazing and geometric and organiz at the same time- I’m just dying to jump through my browser window and come stare at it for hours! Only a few of the popcorn seeds came up and they are about FOUR inches high! Your garden looks great! Hello to your bees..